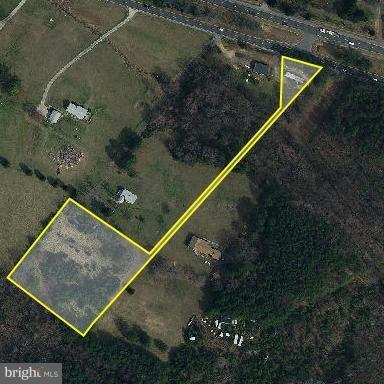 Nicely wooded 3 acre parcel offered to be divided off of larger tract on RT 3. 15 minutes west of the Fredericksburg shopping district and 1.5 miles east of the RT 3/Rt 20 intersection. Good for residential, hunting or camping. Great location with easy drive to Fredericksburg or Culpeper. Division will be subject to county approval. Basement YN No Fireplace YN No Inclusions Single-Wide Trailer.